[Updated] The police are appealing for the public’s assistance in locating 14-year-old Hillary Coddington, who was apparently last seen on Monday, November 27th in the City of Hamilton. 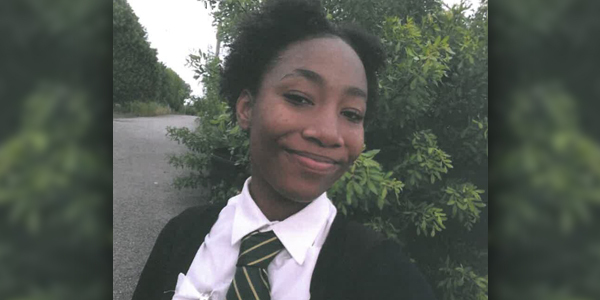 A police spokesperson said, “The Bermuda Police Service is appealing for the public’s assistance in locating 14-year-old Hillary Coddington. “Ms. Coddington, a student of The Berkeley Institute, is described as brown complexioned, between 5 feet 1 inch and 5 feet 2 inches tall with her hair in long braids. “She was apparently last seen on Monday, November 27th in the City of Hamilton wearing her school uniform. “There is concern for the wellbeing of Ms. Coddington, who has never gone missing before and is said to frequent the City of Hamilton as well as the Stowe Court, Pembroke area. “In addition, she usually travels on foot or by bus and has been known to visit the St. George’s area.